I love the “lit” card. So perfect for my teenagers. This cute Free Summer Printable is sure to brighten your day. Resize to project life size. New Styles, Shapes, Overlays & Freebie – Diana’z Designz. 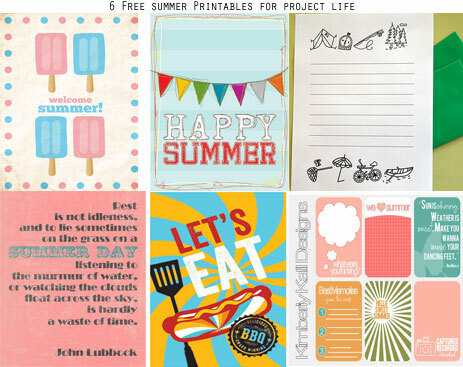 Endless Summer printables for Project Life | scrappystickyinkymess. Summer Crafting Day 10 – POCKET PAGES™ card FREEBIE! — me & my BIG ideas. let the summer fun begin! » Kerri Bradford Studio. Here in Washington the weather is pretty iffy still, it usually doesn’t get good till July 5th…but hopefully these printables to welcome summer will come in handy!